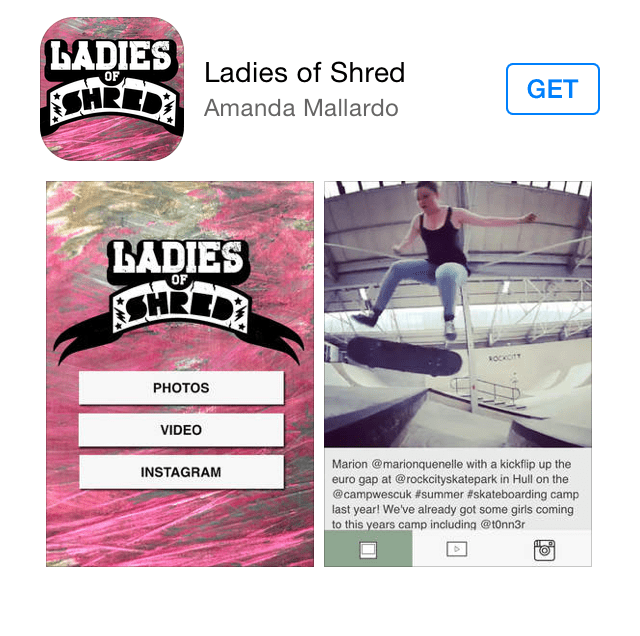 Ladies Of Shred, the app I designed and developed, is now available on the iTunes store! This version is free for now, but I may be adding more features and start charging for it eventually. Feel free to post a review as well. Constructive feedback is appreciated. I’m also putting it out an Android version soon, so stay tuned. Updated 3/1/2105: Ladies of Shred is now available for Android in the Google Play store!